SIDDHAPOWER is not another ordinary online store - it is a mind blowing Life-Changing Experience that cannot be copied, compared or obtained elsewhere. It is your door to spiritual transformation and blessed life. Each item purchased from here is spiritually charged and carries unique Siddha vibrations precisely for You. SIDDHAPOWER offers exclusive SIDDHA INSIGHT into your being and provides you with the most detailed information on how to heal, transform, manifest changes and enhance your overall being. SIDDHAPOWER THERAPY is a blissful and balanced way to heal, empower and enhance self, as well as evolve consciously in life. Experience miraculous changes in body and mind, spiritual unfolding and overall transformation within and around You through Siddha Power Items and Combinations. "If you have seen any photos of me, or seen me on television or in movies, you most likely saw me wearing a string of beads. Those beads are part of my secret to success. They not only help me look cool, but they are gems infused with power, and help assist me in attracting what I want. Even if you think this is a placebo and it is all in my mind, isn't it your mind where *everything* actually takes place? Please hear me out. This could transform your life." - JOE VITALE, THE AUTHOR OF "SECRET", WIMBERLEY USA on Rudraksha beads. The use of Rudraksha beads and Siddha Gutika Parad, recommended and properly activated by﻿ ﻿a Siddha yogi can bring enormous transformation and miraculous positive results in one's material and spiritual life. I am Jivanmukti, the founder of SIDDHAPOWER. I am here to share the presence, inner knowledge, spiritual insight, supporting your transformation and further evolut﻿ion within given life circumstances. All what we have in our life is our conscious or unconscious choice/ manifestation. By having understood that, we take full responsibility for our future actions and get a chance to transform and evolve spiritually. Spiritual evolution is not an imaginary journey. It happens by choice, through our decisions, emotions, thoughts and actions. It happens through life challenges, obstacles, ups and downs, imbalances in our body/ mind structure. Our health, money, career, personal life issues, overall negativity are a result of our inner fears, hopes, expectations and needs, impressions of which are stored in our physical glands/ organs and spiritual energy channels. 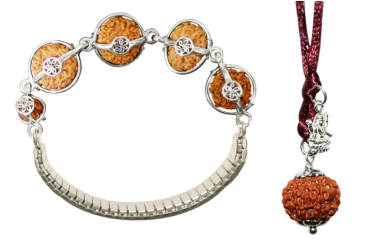 By wearing activated Rudraksha/ Siddha Alchemy beads on our body according to Siddha Science, we are able to consciously release and transform negative emotions/ thought patterns that trigger manifestation of life obstacles, challenges, dramas into progressive manifestation of life, full of purpose and realisation.